← A Cane That’s Also a Freaking Mandolin? Lobsters, Go Give Blood with the Chargers. It’s Important. Yo. This is a big deal. A few years back, my dad would have died if he didn’t have a ton of blood waiting for him during some intense surgeries. Giving blood saves lives, so don’t be selfish and go get it done… if not today, soon. Today, however, seems convenient because you can probably meet/see some Chargers players while you’re there. If you go at 5:10, you’ll see the Charger Girls too. Ay oh! Here the Chargers press release about the donation drive and all the details. Do work, lobsters. It’s time for Chargers Blood Drive XXXIV!! 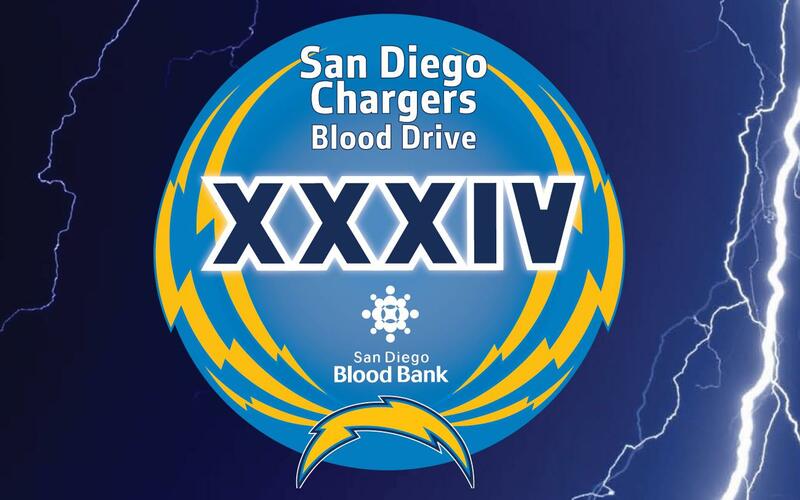 That’s right, the Chargers and the San Diego Blood Bank are once again asking you to join them for the community’s longest running and most successful life-saving event of the year; Chargers Blood Drive XXXIV. This year’s day-long event will take place at the Town & Country Convention Center in Mission Valley on Tuesday, November 20, from 10am to 6pm. Parking is free for donors. You can also just drop in to donate or you can schedule your appointment in advance by visiting www.sandiegobloodbank.org or by calling 1-800-SDBB/469-7322. After you donate, stay to enjoy food, refreshments, entertainment and the chance to collect autographs from Chargers players and Charger Girls. Participants who do not plan to donate blood, but would still like to meet the Chargers and enjoy the festivities at the Town and Country, will be charged a $5 entry fee ($1 for children; children under 2 are free). Blood donors may request their admission price be refunded after they donate. Once again, the highlight of the day’s festivities will be the annual Chargers Family Fashion Show, beginning at 5:30pm, featuring several Chargers players and their families sporting wonderful fashions provided by local retailers. So, join the Chargers and make a difference in someone’s life… today, November 20th! Go give blood. Be awesome. This entry was posted in Football, NFL and tagged Chargers, chargers blood drive. Bookmark the permalink.